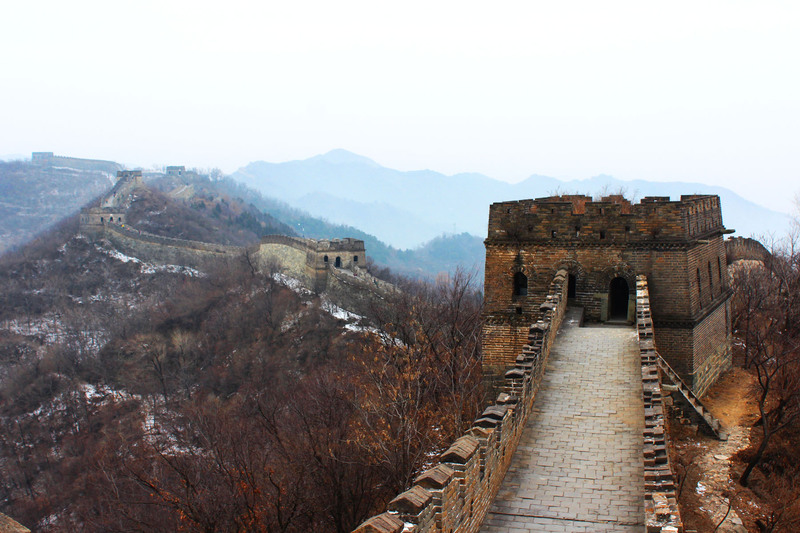 If you’re considering booking a trip to China with Trailfinders read on to find out exactly what you can expect as well as some of my helpful hints and tips for making the most of your trip. 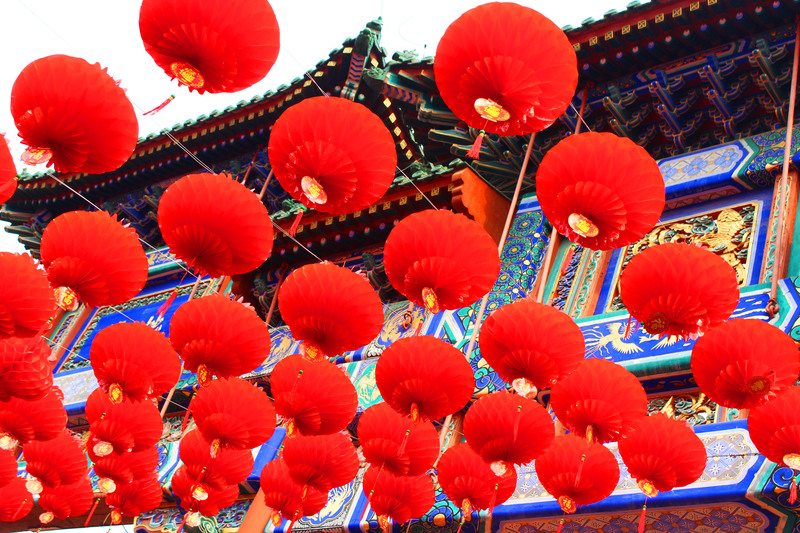 When booking a holiday to China it can be hard to know where to start! Some intrepid travellers may be brave enough to go it alone but we knew we wanted a bit more peace of mind with a local guide on hand. After checking out a variety of tour providers including Wendy Wu and China Highlights, we settled on Trailfinders. Trailfinders had been recommended to me by friends and colleagues at work. Although none of them had visited China before they gave such rave reviews we decided to give them a go. Hopefully this Trailfinders review will help you decide if they are for you! It’s not always easy to find impartial, detailed reviews so I hope this helps. If you do have any questions about what we got up to on holiday then do let me know in the comments! Large group bus tours have been running to China for decades now. On these larger tours there will be at least 17 people. You may be in a collection of mini busses or on a larger coach. These are the cheapest of the touring options. If you pick a small group tour you’ll be in a party of no more than 20 (less in low season). These tours offer a more intimate touring experience allowing the group to more easily immerse itself in the local culture. they are good if you don’t want that one-on-one experience with a tour guide if you are shy and open to making friends! I’d probably have been happy in a group of up to 8 people but personally 20 would be too many for me. We needed our trip to be as flexible as possible and we (read: Jon) are quite nervy travellers, we picked the private touring option. It is the more expensive option but it was worth if for us. In short the private tour is just you, a local guide, and a driver. If you visit more than one town/city during your trip you will have a different driver and guide at each location. The guides are all locals who speak brilliant English. They will be invaluable when the locals don’t speak any English, and are fantastic at sharing facts and insights into the local culture. The tour option closest to what we did was the China Highlights private tour, though we did it in reverse, added a day trip to the water town Xitang, saw an acrobat show one evening while in Shanghai and had a couple of free days visiting a friend in Beijing. You can see just how easy it is to accommodate your wishes if you pick the private touring option! Booking the trip itself was incredibly simple. You can find out about the tours on the websiteor by ordering the brochure. I found the brochure easier as I could flag the tours I liked and could easily show Jon the options I was considering. Once you’ve decided you want to book a tour you’ll need to call up the travel agents or head in store. We didn’t have a Trailfinders near us so we did everything over the phone. They work quite long hours so it wasn’t a problem speaking to the personal travel agent even after work or at the weekends. Once you’ve discussed the different options they will then set up a portal for you which you log in to via the Trailfinders website. This will include everything you need to know about flights, vaccinations, payment and of course your itinerary! You can speak to your personal travel agent to amend, change or tweak any part of the itinerary before booking and making payment. Word of caution: the itinerary can be a little vague at times. You aren’t even told how long any of the tours are (just “hall day or full day” which could really mean anything and in practice varies wildly from tour to tour). Once you’ve landed in China and met your guide things become much clearer. You can also arrange for your pick up for each tour at a time which suits you which is perhaps why everything is so vague. It’s just not ideal if, like me, you’re a control freak and want your schedule nailed! In the months and weeks before you travel your agent will be in touch to ensure you’ve got travel insurance, visas and any vaccinations you need covered. If you have any questions at all they will be happy to help. Within reason amendments can be made right up until the last minute. Good to know: Insurance, visas and vaccinations organised by Trailfinders all come at an additional cost so we used their helpful information on the portal to arrange for them all ourselves cutting down costs! My favourite part about using Trailfinders was how slick it was once we landed in China. What could easily be an overwhelming experience as taxi companies all try and convince you to get in their cabs, was actually very straightforward. Fun-fun (our first guide) was waiting for us with a sign, our names clearly spelt, she appreciated we’d had a long trip and helped us get our bags to the car. The car was incredibly comfortable (and we fell asleep in it more than once during our transfers to various places). Once we’d had a little kip she then gave us the full introduction about how the holiday was going to work before starting on some fun facts and a bit of trivia about Shanghai as we drove to our airport. Hotel check-in was also incredibly simple as she helped bridge the gap between the hotel staff and us. She even went the extra mile making sure we had restaurant reservations for that night, and writing down the addresses we’d need to show taxi drivers in Chinese characters. Finally, she even gave us her mobile number should anything go wrong! Top class service! Throughout our holiday we were a little apprehensive about eating out. We both LOVE Chinese food but as Jon is a vegetarian we thought it might be tricky finding things he could eat. Where lunch or dinner were included with that days tour / activity our guides were fantastic at speaking with the staff to ensure we had a couple of vegetarian options. As a general rule, the guide will take you to a local restaurant, they will then pick a menu of dishes for you based on your likes and dislikes, order, then leave you to it. You get an hour or so by yourself (more if you wish) before the guide then pops back at the end of the meal to see how you got on and pay the bill. This made meal times incredibly simple. Every single one of the meals we had on a tour day was delicious! We couldn’t fault it! If you need recommendations for your evening meal your guide will be happy to help. Again, just ask them to make a reservation for you if needs be and make sure you have the address written down in Chinese to show the cab driver. Apparently there is a reputation for tours to China to include lots of shopping. 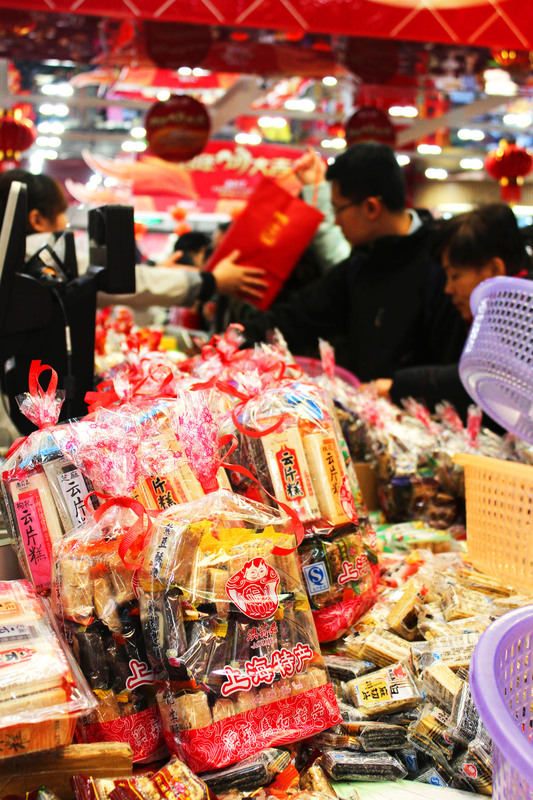 If you don’t want to purchase souvenirs then let your tour guide know and they will help you haggle in the markets or ensure you get a trip to a shopping centre during your stay. There are often optional stop offs if you are travelling to somewhere out of town (such as the Terraotta Warriors) which may include jade or ceramics factories. They will explain how the goods are made before giving you a chance to browse. The presumption does seem to be that you will buy something but if you don’t want to just tell your guide and you can move on! Alternatively, you don’t have to go to the factory at all if you don’t wish! It’s more than likely that you will want time to yourself during your holiday. The beauty of the private tour is that you can build in free mornings, afternoons, or evens whole days where you won’t see or speak to your guide. This was particularly important for us as we were spending the last half of our holiday visiting a friend in Beijing. On other days, the guides were more than happy to build in free time for just the two of us. 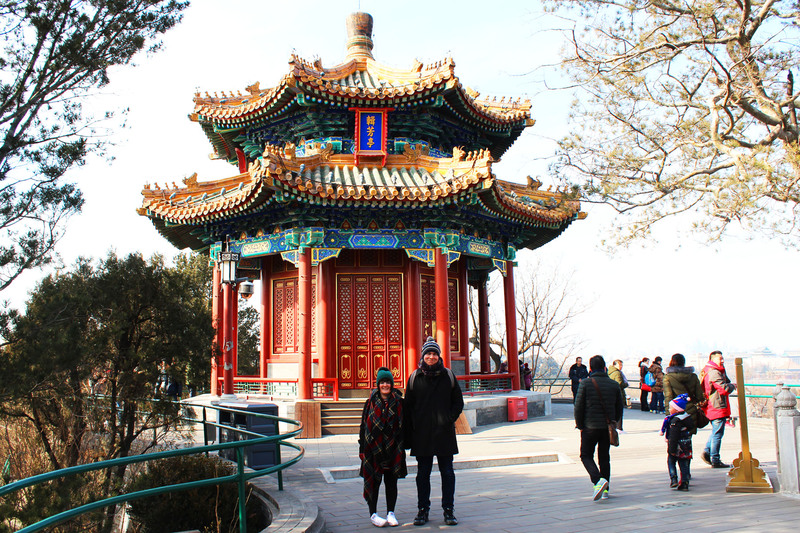 For example, when we visited the Great Wall of China, our tour guide Bruce accompanied us to the wall itself giving us lots of facts and figures along the way, he then took a couple of pictures of the two of us together before leaving us to trek the wall for a couple of hours. We then met up again just before lunch. When we were in Xian our guide Lee arranged for us to hire a tandem bike so we could cycle the city wall just the two of us. They appreciate that this is your holiday and you may not always want them around! There are three levels of accommodation on the tours; (1) standard; (2) superior; (3) deluxe. We stayed in one of each and they were all lovely! Even the standard accommodation was pretty nice and to be honest I wouldn’t necessarily pay for superior or deluxe if I went on another similar tour. As I’ve already mentioned your guide will help you check in to each hotel and will be there to pick you up when you leave. Breakfast is generally included with the booking so you know you’ll have at least one meal a day already sorted for you! In short I’m so pleased we booked the holiday through Trailfinders. From the helpful travel agent Lee sat back in the office, to each of our wonderful tour guides and drivers, we have been given fantastic service! In fact, we enjoyed the holiday so much not only are we planning on going back to China, but we’ve just ordered the New Zealand brochure from Trailfinders for our holiday later this year! I can’t wait. If you do have any questions about our holiday or anything I’ve mentioned in this Trailfinders review just leave me a message in the comments and I’ll get back to you as soon as I can! Want to find out more about what we got up to on holiday? 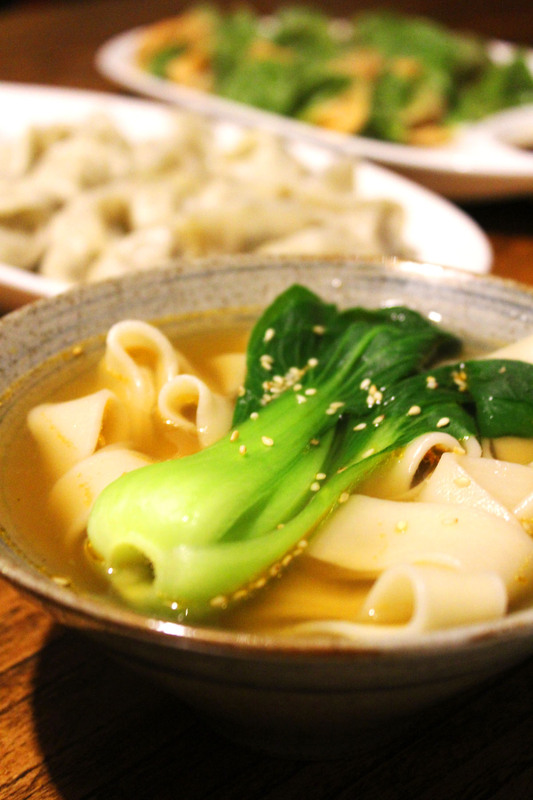 Next week I’ll be sharing our advice for finding vegetarian food in China and Jon will be guest posting about where to find the best craft beer! I’ll also be doing a city by city breakdown of what we ate and sharing recipes inspired by our travels! Make sure you come back soon! What an amazing place to go. China almost seems like another world. Glad you had such a good time. This is such a useful review, thanks for the details. Sounds as though you got the best of both worlds with Trailfinders. You know what Choclette it’s not all that different once you get past the language barrier! We thought we’d be in for a huge culture shock but it was no where near as bad as we expected. 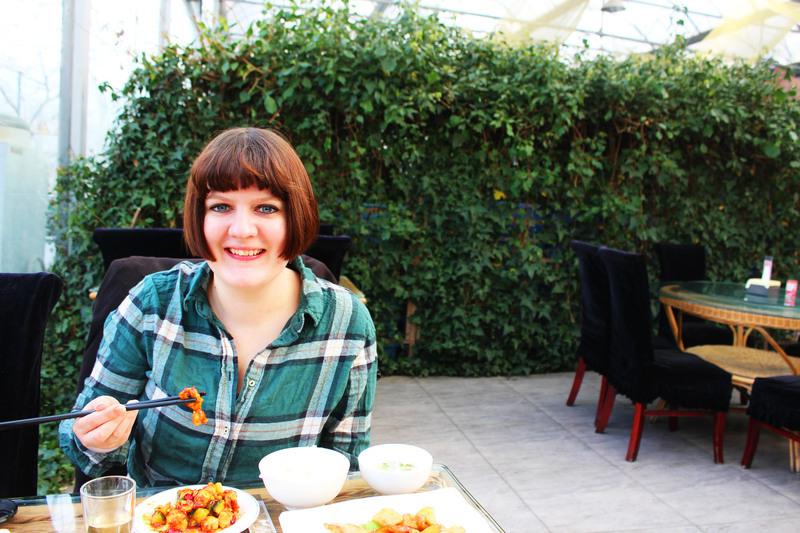 Next up I’m doing a post on veggie food on China! Hopefully will be up on Sunday or Wednesday, still working my way through all the photos! Did you also travel on the bullet train? We didn’t travel on the bullet train because internal flights just worked out better in terms of timing for us. The beauty of Trailfinders is that you can take the tours and adapt them to your needs if you go with the private tour option! Do let me know if you have any other questions. It’s still possibly my favourite holiday I’ve ever been on!! !